We are all born with the ability to be creative. However, somewhere along the way, many of us seem to gravitate toward a more prescribed way of life. As adults, we have jobs, responsibilities, families to take care of. There is little time left to be creative. Yet, as teachers, it is our responsibility to create opportunities for our students and for some, our own children, to foster their creativity. Children need to be encouraged to explore, ask questions, make mistakes, and find their own answers. When children are given the opportunity to be creative, they are building problem solving skills, using critical thinking, and increasing their self-esteem. To be creative, all children need is the freedom and space to explore. 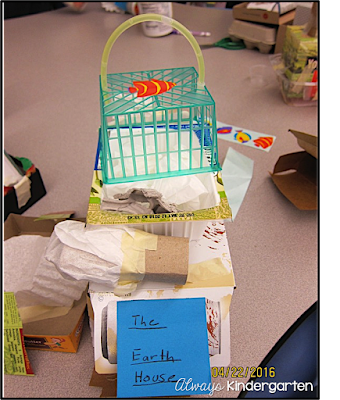 In the classroom, it can be as simple as laying out recycled boxes and masking tape and giving students the freedom to create using their imaginations. When children are allowed to figure things out on their own, they are able to then solve more complex problems down the road. If you simply show a child how to do something or do it for them, all they have learned is that you can do it better than they can. Allowing a child to express themselves in their own way gives him or her the freedom to build their own understanding of the world. It's about the process and the play, not the product. 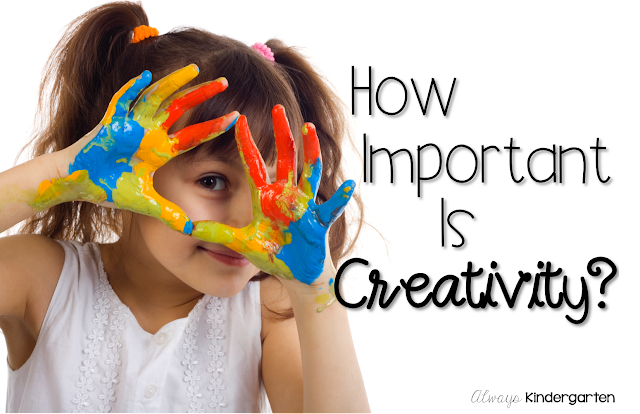 When you think of creativity, most automatically go to art, music, dance and the like. The skills learned through the opportunity to be creative carry over into all aspects of a child's life, including the core subjects in school. Scientists discover cures for diseases through exploration, engineers create new technology, business owners come up with creative ways to increase revenue, teachers find ways to read all of their students. If not given the opportunity to explore and create freely as children, these adults would not have developed the skills to achieve these goals. Unfortunately, so many of these programs are the first to go due to budget cuts and core curriculum demands. So what can we as teachers do to foster creativity in the classroom? At the beginning of the year, I make it a point to allow students to explore manipulatives before asking them to do specific tasks with them. 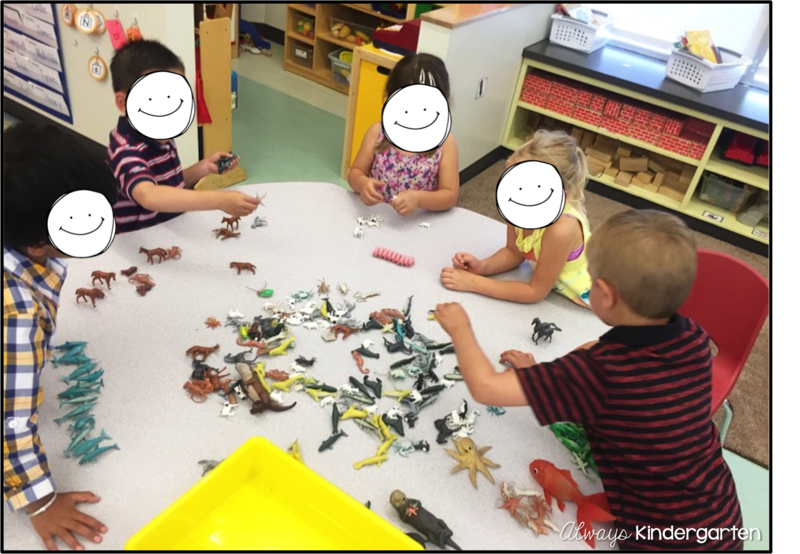 Here, the students are exploring with plastic animals. They naturally began to sort them by animal. 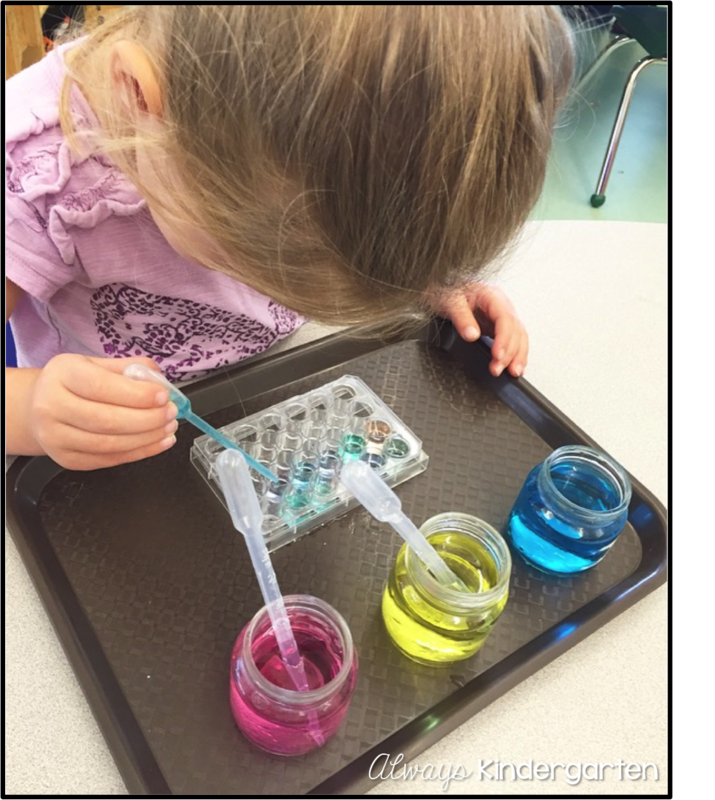 During our color unit, students explore what happens when you mix primary colors in different ways. For Earth Day, we collected recyclables and the students worked in pairs to create their own art. One of my favorite books to read at the beginning of the school year is Beautiful Oops by Barney Saltzberg. The story is about turning a mistake into an opportunity to make something beautiful. One of the most important things I can teach my students is to appreciate each other. At the end of many of our activities, we do an Appreciation Circle. I ask my students if they have an appreciation about someone else or the group that they would like to share. We celebrate each other in this way to validate the work we have done. When we build a learning environment where children feel safe, they are more comfortable to take risks. 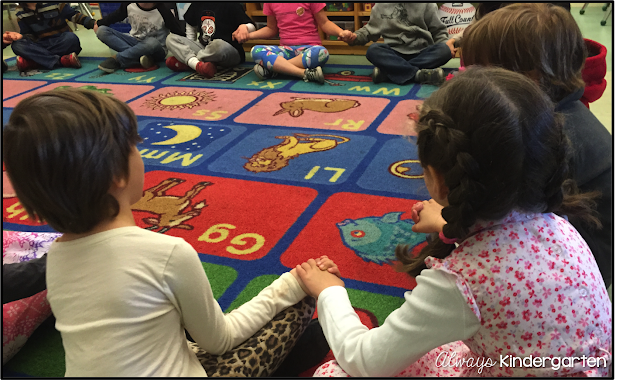 Our appreciations help to express the value we place on what students think and what they do and help to strengthen our classroom community. How do you foster creativity in the classroom? This is awesome! I love all of the great activities you have for your kiddos! I'm going to look for that book as well. I teach 1st grade and I love watching them explore and create with the math maniupulatives the first week as we learn station routines. Last year, I did Genius Hour Homework with the kiddos (my personal take on Genius Hour/Passion Projects) and it was fun to see what they were passionate about, what they created, and listening to them share. One of my favorite activities I do with my students is a weekly song or poem. Then, they post it in their Poetry Journal, illustrate or decorate it, and keep it in their book box. In the Spring, we do a Poetry Jam, where they get to read and/or perform their favorite poem for parents and other classes. I feel that all of these things are fun, but also so important to building a healthy, happy, and well-rounded student! Great post! 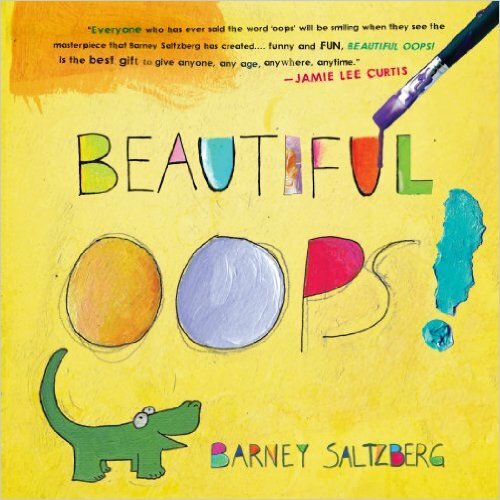 I haven't seen the Beautiful Oops book so I will definitely be checking it out. I also LOVE the idea of the appreciation. I do a compliment circle at least once a week, but really like the idea of doing this after an activity. Thanks so much for sharing.